Posted on 29, September 2016 by EuropaWire PR Editors | This entry was posted in Aviation & Aerospace, Energy, Gas & Oil, Environment, European Union, Finland and tagged 'the European Advanced Biofuels Flightpath', Air France, Biochemtex, biofuel, British Airways, EU initiative, Henrik Erämetsä, Honeywell UOP, KLM, Lufthansa, Neste, Paris Climate Agreement, Swedish Biofuels, Total. Bookmark the permalink. HELSINKI, 29-Sep-2016 — /EuropaWire/ — Henrik Erämetsä, Head of Aviation Regulation at Neste has been appointed Co-Chair of the EU initiative ‘the European Advanced Biofuels Flightpath’ as a representative of the biofuels industry. Mr. Erämetsä will co-chair together with Ruben Alblas from KLM Royal Dutch Airlines. “We are very happy that Neste’s leadership in biofuels industry was recognized by this important appointment. Henrik is a recognised expert in his field and has a vast experience in various energy related issues as well as from EU bodies. This initiative is a right step towards decreasing greenhouse gas emissions from aviation by making advanced biofuels a reality also in flying“, says Kaisa Hietala, Executive Vice President in Renewable Products at Neste. The initiative supports the goals of the Paris Climate Agreement and the EU targets set for reduction of greenhouse gas emissions. It was launched in 2011 by the European Commission, Airbus, leading European airlines and biofuel producers to promote the production, distribution, storage and use of sustainably produced and technically certified aviation biofuels. The initiative aims at getting biofuels to the market faster, through the construction of advanced biofuel production plants in Europe, and at setting a target level to the amount of sustainable biofuels used in European civil aviation. Biofuel companies taking part in the initiative at the moment are Neste, Biochemtex, Honeywell UOP, Swedish Biofuels, and Total. Airlines involved are KLM, Air France, British Airways, and Lufthansa. “Aviation is the most rapidly growing segment of traffic. 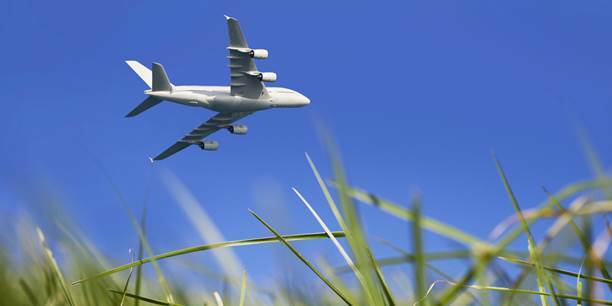 Sustainable biofuels along with reduced fuel consumption of aeroplanes and increased operational efficiency offer us means to lower the carbon footprint caused by increased aviation in the EU. They also contribute to reaching the IATA target of carbon-neutral growth of airline industry from 2020 and subsequent reduction of carbon emission. I am glad to be able to use my expertise in pursuing the targets”, says Henrik Erämetsä.